Lebanon's president has spoken up in defense of the country's militant Hezbollah group, telling a visiting British official that the group's allegiances in the region do not affect internal Lebanese politics. President Michel Aoun's office quoted him as saying that Hezbollah is part of the Lebanese people and is represented in the Cabinet and parliament. 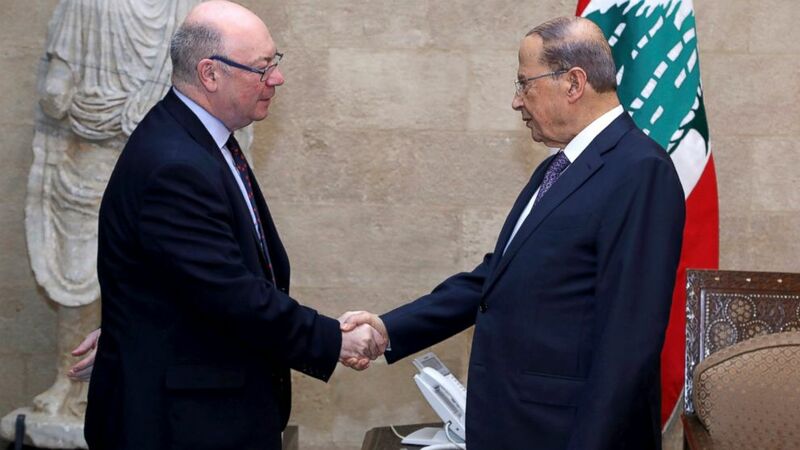 The comments by Aoun, a Hezbollah ally, came after his meeting with Britain's Foreign Office Minister Alistair Burt on Thursday. Britain last week banned Hezbollah as a terrorist group, saying it's destabilizing the Middle East. The U.S. also considers Hezbollah a terrorist organization. Hezbollah said the decision was proof that the British government is "merely a puppet" that does the bidding of its American "masters."